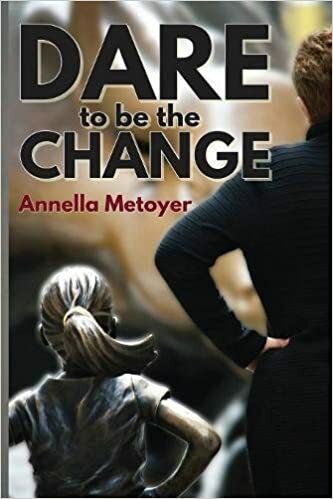 Dare to Be the Change tells the story of your life and how you overcame adversities to be the change you wanted to see in the world. Why was this an important book for you to write? It was important for me to write this book to give the readers a glimpse into some of the adversities that women and people of color face in corporate America. More importantly, how to embrace adversity and make it your advantage by becoming the voice for others. You grew up in a small town in Louisiana, in a time where racism was prevalent in the community. How has your perception changed of that time and place now that you’re an adult? I do not feel my perception has changed now that I am an adult. However, as an adult, I do understand the WHY behind why some things happened. I found this book to be inspirational and motivate me to help others seek change. What do you hope readers take away from your book? Since the book published, I have received countless emails, phone calls, text messages from all cultures. The book is doing exactly what I hoped it would do. First, giving individuals a platform to talk to each other about a sensitive subject versus talking at each other. Secondly, it’s an opportunity for each person to tell their own story. And finally, its reenergized individuals to stand up and be the voice in the room. My next book Stronger than Fear is a children’s book scheduled to be published late summer 2018. It’s about a boy named Christopher and his dog Loki experiencing bullying by members of their species. Not only did she face the challenges when women were not the voice in the room, but she also did so as a person of color. From coworkers to disgruntled customers’ discrimination, she lived the evolution of attitudes. With each adversity, she became more determined to take the challenge and turn it into an advantage. Annella Metoyer was blessed to experience many firsts. She was the first person of color employed by a local bank and ultimately became the City President for a large corporate bank. Her journey later took an unexpected turn when she transitioned from employee to entrepreneur. Dare to be the Change will resonate with anyone that has ever faced adversities. As you read the story, you will rejoice in the strength that Annella finds within to help others and to make this world a better place. 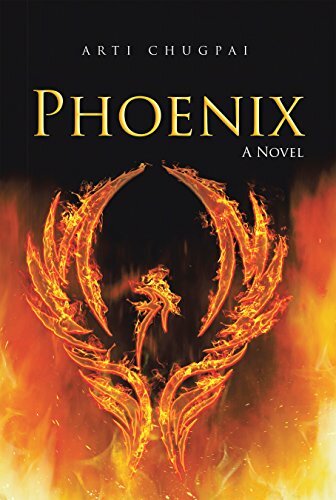 Phoenix tells the story of Sonam and her trials and tribulations as she builds her life as a woman in India. What was your inspiration for this heart-felt novel? I have been inspired by experience and observation. 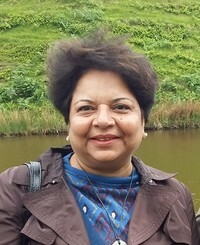 My family background has been similar, and I have closely observed the lives of urban well-educated women in India. Despite a progressive education and multifaceted skills, they are expected to conform to obsolete family norms and not allowed to make life choices. This is especially true for the year 1983, when the protagonist Sonam wants to extricate herself from an abusive marriage. Indian society then was full of paradoxes: on one hand was the evolution of a knowledge society and unprecedented technological advancement and on the other deeply entrenched dogmatic beliefs in gender stereotypes. Instead of sympathising with a woman who was a victim of circumstances, her family and friends blamed her for her misfortunes and ostracised her. I felt that this novel confronted gender stereotypes in a bold way. What themes did you want to capture while writing this book? I have always felt strongly about the unequal playing field provided to women, even in the educated elite class, and the perception that they are appendages to male family members, whether father, brother or husband. Why should women be accorded respect only if they have empathetic men to battle for them? This discrimination is especially difficult to combat since one is pushing against one’s parents and closest family members whom one loves and respects. Through this novel, I wanted to highlight the need to cherish and support daughters as individuals regardless of the presence and status of their life partners. I felt that Sonam was a multilayered character that was judged by her failings rather than her success. What were the driving ideals behind the characters development throughout the story? While her parents despair of what will happen to Sonam after she leaves her husband and judge her by her failure in relationship, she demonstrates exceptional skills and shines in her workplace as an achiever. Her personality growth from 1983 to 2017 despite all odds illustrates the triumph of the spirit over ostracism, bigotry, negativity and injustice. She is rejuvenated from the ashes, just like the mythical bird, phoenix. My next book, tentatively titled ‘A Journey Within’ has a very different story though it also deals with women’s issues. The lives of 16 Indian women of varying age groups intersect when they go on an all-women’s trip to Spain and Portugal. As events unfold during and after the trip, each of them reaches a realization that changes her life forever. Caught in an abusive marriage, Sonam Aggarwal finds no family support when she struggles to break free. However, with unwavering grit, she makes a place for herself in the world and rises like a phoenix from the ashes of her dead marriage to discover true companionship and professional success. The evolution of a knowledge society in India that places a premium on human knowledge and skills regardless of gender finally bequeaths her a coveted place in the sun. The novel focuses on the core strength of a woman that asserts her value despite external trappings and women characters who go through their individual struggle with the inevitable challenges that threaten their existence. Phoenix, a novel, traces the life of Sonam and her upper class family in South Delhi from 1983 to 2017. It highlights the curious paradoxes in Indian society: its global leadership in digitalization contrasted with antiquated prejudices and gender stereotypes. Who would have thought that a story about a turkey would bring a reader to tears? Within the pages of A Pardon for Tommy by Patricia Nmukoso Enyi readers will find just that. Chelsea Malibu is the protagonist of our story. We begin with her waking from a nightmare in her college dormitory. Chelsea is a survivor of Hurricane Katrina and still suffers from its aftermath. She is a young woman now, but she cannot let go of the horror she faced at the tender age of twelve. The story walks us through what Chelsea experienced during the hurricane, how it affected her and what happened to her family. Throughout her ordeal Chelsea had one pillar of support: the never questioning Tommy the turkey. 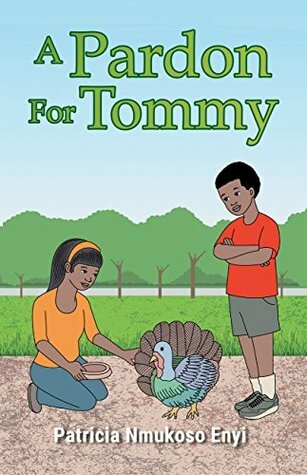 Tommy was a prize her father had won and expected to eat on Thanksgiving with his family. However, life has a funny way of throwing you off track. The pain that Chelsea experiences in this story is raw and real. Tommy isn’t just a pet turkey: he symbolizes her family. The family that was ripped apart by the hurricane during which her father went missing after trying to save her life. Chelsea is clearly traumatized by the events and the life she lives after relocating to live with her mother, brother and maternal grandmother isn’t as easy as it should have been. Aside from the emotional trauma, Chelsea is faced with discrimination and bullying. Her family is fractured, and no matter how much she prays it won’t become whole again. While there are some mistakes in the grammar and the styling of the novel leaves a lot to be desired, the content of the tale more than makes up for it. Readers can feel the agony that Chelsea experiences in these pages. She is young and there is so much she doesn’t understand about what is happening to her. There are so many changes in short succession that it would make even an adult’s head spin. There is so much uncertainty in her life that it’s as if time stops for her. Because of this, Chelsea clings to Tommy, the turkey, for comfort. This turkey is the only thing that connects her to her missing father. The physical existence of the turkey allows her to have something she can touch to remember her father. In the novel, it has been six years since the devastation of Hurricane Katrina. Our protagonist has avoided returning to the city where her life was so gravely changed. With the impending death of her beloved turkey Chelsea boards a bus to return. It is here that we are privy to the events that took place in that city. A Pardon for Tommy by Patricia Nmukoso Enyi is a beautiful, sad, and harrowing tale of a survivors experience with one of the deadliest events in modern history. This is a perfect book for young adults or those who enjoy more realistic fiction tales. Will Chelsea’s family ever become whole again? Will she ever find out what happened to her father? And most importantly, will Chelsea’s nightmares ever disappear? Read for yourself to find out.